Your roof is responsible for protecting your home from the elements, and even the smallest leak in your roofing can lead to extensive water damage. Most issues can be easily fixed if you catch them early on before the issue expands or creates interior damage. Know the most common signs of roof issues, so you can call a contractor for repair before it’s too late. When asphalt shingles reach the end of their life span, the asphalt granules will start to fall off. They will tumble down your roof and accumulate in your gutters. It will look like coarse black sand and is a sign it’s time for roof repairs. 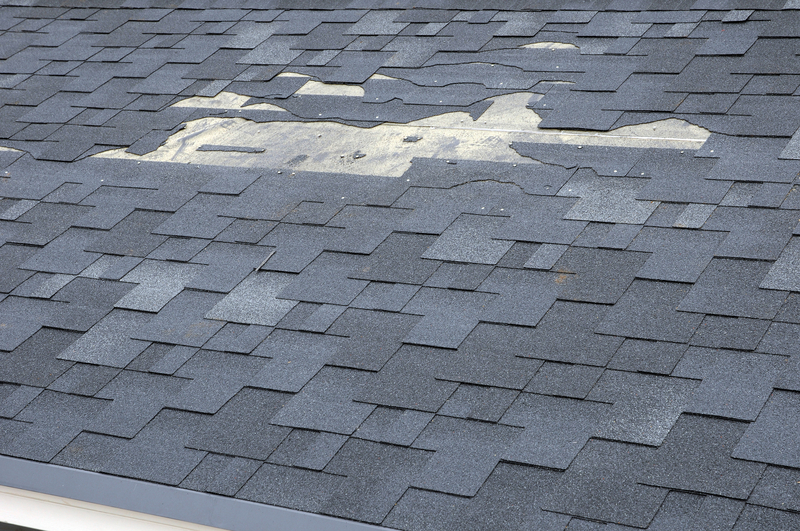 Your shingles are arranged to create an impenetrable surface, keeping out debris and water. They can be damaged from age or other factors such as pests. Look for any missing shingles, shingles that are curling up at the ends, or buckling up in the middle. If water is leaking through your roof, that moisture will trickle down into your home’s interior spaces. The water damage will be visible as brown, gray or yellow stains on your walls or ceilings. You’ll not only need to have the roofing repaired but the interior water damage as well. Flashing is placed around your chimney and at any peaks or valleys in the roof. It maintains a strong barrier where the shingles are not. Conduct a quick visual inspection to see whether it’s missing or ripped in any places. Ice dams occur in the winter when snow melts off your roof and freezes as soon as it reaches the uninsulated edge. This forms a dam in your gutters, which can weigh them down and break them or cause water backups. You’ll likely need to change the existing attic insulation if you keep getting ice dams. Coulee Region Roofing & Siding is the trusted commercial and residential roofing team serving the property owners of Onalaska, WI. Over the last three decades in business, this fully insured roofing contractor has built a reputation for its superior services and competitive prices. To learn more about their services, check out their website. Then, call (608) 780-5582 to schedule an estimate for your roof installation or repair. What Are the Most Energy-Efficient Roofing Materials?